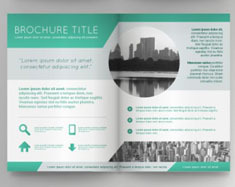 Fold and Fly – Getting tired of the dull trivial brochures that you get on the streets? There’s a reason why the brochure continues to endure in the age of digital marketing because of creative designers who push the limits with great ideas and imaginative designs that make a lasting impression. 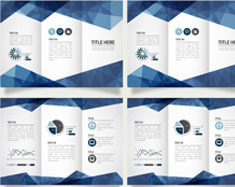 We offer brochure design (bi and tri-fold brochure design) and templates that spreads your message with creative and content amplification. Ranging from different styles, sizes, color combinations and creative artwork, brochures designed by our expert team. 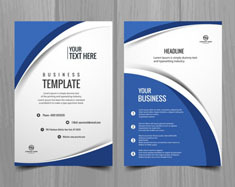 Visual Style Consider Your Layout / Size New, Fresh Ideas.